our christmas lights this 2010 would be made up from light emitting diodes which does not generates so much heat:;. My name is Kate. I am from Russia. I live in a small city which is the north of Russia. I celebrate New Year with my family and friends. On eve of new year the friends familiar, relatives exchange gifts. To give a gift is my favourite tradition. It is always pleasant to pay attention and to give to close people. Usually we have a rich table and a considerable quantity of visitors. All visitors rejoice, laugh, take part in competitions. Then under a peal of bells all think of desire and hope that it will come true in coming year. Then all inhabitants of a small city go on celebratory salute. This day an especial for me. It fills soul with pleasure and alters usual day in a magic fairy tale. The information you post is always excellent. I am glad you contribute to this blog. I’ll be looking for your comments in the New Year, too. I’m oscar Lopez and I grew up in Salvador the best tradition of my family is to decorate the Christmas tree we always put many gift around the tree because we think the tree of Christmas is very important because represent Christmas also we eat dinner, which is meat, soda,pupusas,pouch, and all we cook for Christmas day. We also make some fun game for the kids. I’m Jose Rodriguez, and I grew up in Mexico. A tradition of my family is to celebrate the Birth of Jesus in the Christmas Eve. I want to keep this tradition, because all my family and most of the people in Mexico celebrate this holiday. On Christmas Eve we have a dinner. We make tacos, punch, goat’s barbecue, tamales as the principals foods. We make some pinatas for the kids to break. 2 pounds of dough corn. 1 ½ pounds of chicken. Approx. 2/3 of gallon of water. Mix the corn flour, lard , the water, and the salt to taste togetther. Then, put to boil the chicken, then put the chicken in piece with the salsa of chile together into the corn flour in the corn leave. Then, add water in a pot and foil the tamales still it is ready to eat. My names is Jorge me and my family celebrated Christmas day. My favorite tradition is beef tacos. All my family join in my mom’s house to enjoy that holiday. When my mom began to cook everybody enjoy the flavor of the tacos. All my family is happy and enjoy each moment of Christmas day. 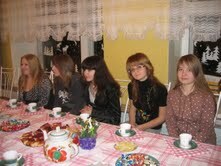 On Dec/24th we have a dinner in my grandfather’s house and we make a lot of food. We make tamales as the principal food. The cabrito (a little goat), ponche(punch), coffee, tacos and more. My dad and uncles make the cabrito, and my mom and aunts make the tamales and the others things. My cousins and I make a pinata and all the little children brooked it. At the night we eat the dinner and talk about how was the year and our expectations to the new year. ¾ pound small apples or tejocotes, peeled and sliced. ½ pound raisins or prunes or a mixture of both. 6 oranges, scrubbed and sliced with rind. 1 cup jamaica (dried hibiscus) flowers. 4 pieces sugar cane stalk, peeled and cut into strips. 3 sticks cinnamon, each about 6 long. brandy, rum or wine to taste (optional). Place the apples, guavas, raisins, or prunes, oranges, sugar cane and cinnamon in a large stock pot with the water. Bring to a boil, lower heat, cover and simmer for 1 hour. Add sugar to taste, cover and simmer for another 10 minutes. If adding brandy or other alcohol, add and simmer a few minutes longest. play music that day we just use the sound equipment , we cook different stuff , sometimes we eat tacos , , tamales , and other different things , me and my cousin buy some fireworks and we use them before we eat, after that we go to the downtown where there is a party every Christmas with music ,fireworks and many other fun things to do. I am very happy for my friend! I’m Francisco, I grow up Mexico and almost two years ago we move from Mexico to United States. And all my family for christmas make rice sweet, and all my family meet at the house of one of my uncle to eat dinner. For this holiday my mom always cook to us “Rise Sweet” because is one of my favorite food. 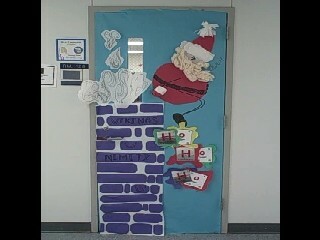 The Nimitz high school tradition for Christmas week. Nimitz High School has a tradition – the week before Christmas many teachers volunteer to read to groups of students. 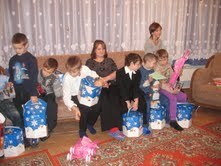 They to go to classrooms and bring with them stories about Christmas day. Another interesting activity that Nimitz High School does is singing at the library, songs like Silent Night. Last year I was with the Nimitz High School students. We sang it together in the various languages – English, Spanish, and German. ESL and foreign languages classes did it this year, too. In my family, we spend Christmas Eve at home. My husband, 3 sons, and I sit around the Christmas tree. We buy a new book with a Christmas story to read. We sing Christmas songs – my boys always insist on singing 12 Days of Christmas. I also make my “best hot chocolate ever”. We also let our boys look in their Christmas stockings hanging above the fireplace – it will have candy and little fun things to play with. On Christmas Day we open presents in the morning and then have a big family lunch with grandparents, aunts, uncles, and cousins. 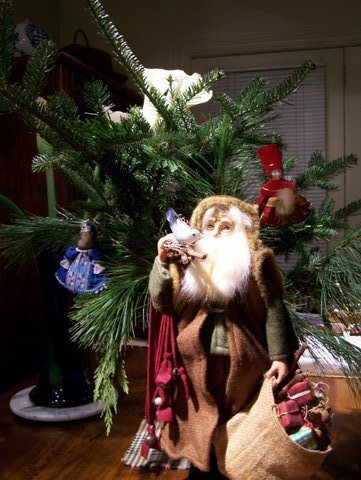 There are many texts about Christmas published on line. Our Christmas tradition is hanging parol or Christmas Lanterns. Putting Christmas tree lights are symbols of our holiday. Going to church by nine-day dawn called Misa de Gallo or Night Mass is very important. It’s start at 4 to 5oclock dawn in our beliefs if you complete the mass or novena he/she would grant special wish or favor and our tradition 12 midnight of 24th of December. After going to mass we eat Noche Buena includes queso de bola its a spanish cheese ball, tsokolate its a hot chocolate,and hamon christmas ham. After eating we open our christmass gifts and thats how we celebrate Christmass Traditions. Every Christmas me and my family get together at my grandmothers house we make a lot of different food like tamales,posole, menudo, caldos, cakes and cookies and a lot of desserts that each of my family likes. We open the presents at 12:00 of midnight we talk and have games and we allways have a nice moment because everyone is just enjoying the moment when all the family is together. One of the tradition that our family has is the pecan meltaways that became a tradition because my grandfather used to like them a lot so for every Christmas he will tell each one of the family to make some pecan meltaways. in a large bowl, cream the butter, confectioners sugar and vanilla until light and fluffy. Combine flour and salt; gradually add to creamed mixture and mix well. Stir in pecans. Refrigerate until chilled. Roll into 1-in. Balls and place on ungreased baking sheets. Bake at 350 grades for 10-12 minutes or until set. Roll warm cookies in additional confectioners sugar; cool completely on wire racks. Roll cooled cookies again in confectioners sugar. Where did your family get this recipe? If you use cooking sites, please include the URL. (nativity scene) in all churches and homes. we exchanges cards and receive gifts from Santa Claus are all integral parts of the festivities. The Indian people call Santa Claus, “Christmas papa”.At night some people act and dress like Santa Claus . Then, children are very happy. In every Christian home with meat( chicken , beef ,pork ) as a special item, They are bought new cloths in Christmas. The new cloths worn on Christmas day. People put stars in front of their houses. Churches and homes have many decorations. On December 24th at midnight , prayers and Holly Mass the churches . The students are happy to get a 2 week vacation. After Christmas students have exams. The celebrations of Christmas leave good memories in every heart. my mom does food for a family dinner, my mom end my sister makes a dish is called roast chicken with rise the chicken puts to parboil then puts mayonnaise end chicken broth put in the over till this gold end the rose is with vegetables end the chicken broth end my sisters arrive with their spouses husband to have a meal family. 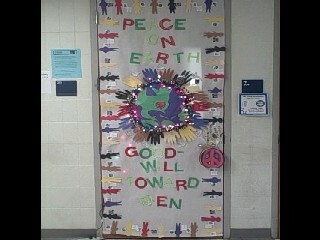 Nimitz High School has a wonderful tradition. 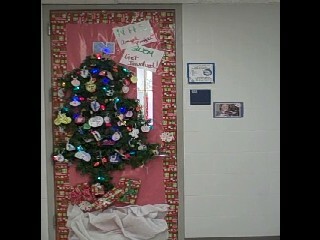 Many teacher with class decorate the doors, mix Christmas paper and use Christmas light and used imagination and other things that was important for the school and for this traditions, but the most important for this traditions is the Christmas tree and the food. When I was in Mexico,my parents buy a little tree for us and they put the gifts under the tree when my sister and I fall in sleep .Almost all my family get together to pass Christmas in my grandma’s house and sing to el nino dios (Jesus) like for 2 hours and we going out side to sing too in front the door with candles in our hand. When we finished singing we start to eat and give the gifts to the boys and break the pinata. Now that I came to the United States that tradition change just a little bet and they made different food. 3. Shred the chicken and marinate in the green salsa or tomatillo(tomatoes) sauce. Beat butter with a pinch of salt and the egg to incorporate the flour and milk to from dought ball let it rise 40 minutes to make the dought and spread with the roller until you have the form of an thin tortilla toast 10 hours in oil heat until browned and drain for honey piloncillos boil and add the cloves and cinnamon until to serve cover with honey and sprinkle with ground cinnamon. Each year my family celebrates holidays. Sometimes they do tamales,chicken with a lot of thing inside,sandwich,they make mole, ponche, atole, champurrado, rise,beans, posole, menudo water of horchata. On my grandmother tradition they do pupusas, nuegados de dulce. Mexican children delight in the game where the “pinata” a pottery or paper container many times shaped like a bull or donkey,is filled with candy and suspended from the ceiling on a rope. When I was little, my parents used to set up a “horizontal pinata.” They would arrange candy, pieces of fruit and other small gifts on a rope stretched across the room and let blindfolded kids go for their treats. I am Lucero, I’m from Mexico and I have been 2 years in the United States. My family and I celebrate Christmas with our different traditions. One tradition is that the first day of December we like to decorate the Christmas tree together. For dinner we like to cook different dishes, especially Mexican traditional food, like pozole, tamales, menudo etc. Every Christmas we like to be together as a family, and sometimes we like to visit our family in Mexico. Other tradition is that for New Year you can wear different colors of clothes, for example if you want love you can wear red or if you want money you can wear yellow, and that is a way to start a New Year. Christmas is a especial holiday to be together, and that is how I celebrate christmas with my family. Do you know symbolic meanings of other colors? You need to put the 8 eggs, the sweetened condensed milk, the evaporated milk, and 2 teaspoon of vanilla in the blender until all ingredients are mix. Pour 3 teaspoon of sugar in a warm pan. Constantly stir sugar until it become caramel. When the sugar becomes caramel put it in a pie pan, and put all the ingredients too. In a double boiler put 1-2 in of hot water. Bake for 30 or 45minutes in the water bath. We are a big family of 30 people. We all come to my uncle house. He is very happy in special day. We cook Mexican food like tamales,mole and cakes. states and we are happy to see them. thanks that we’re still alive and here to give thanks. Christmas is the best holiday where we can give thanks and be happy with our family. Mexico and my uncles and my aunts have a restaurant they sell pollo asado (chicken) and carne asada (meat), so the secret is the we have a sason, and we always eat pollo in Christmas. The name of the restaurant is pollos chava in the city of Frontera Coahuila Mexico. Well, I cannot tell the recipe because it is a secret. The ingredients are flour, meat, cheese, tomato,and onion. My Family tradition is rebentar cuetes (burn fireworks). Every Christmas all my family always made bunuelos,tamales,rompope,chocolate,arroz con leche,fajitas,beans. We always celebrated in a big way.We write letters of all the bad and sad things that had happened on our life and then burned them,also of what we wanted to happened next year. Everything was perfect,our family together,everyone happy,a lot of fun but now that me and my sister came her everything its different,and we missed it a lot. My great grand mother,grandmother,and ant make the bunuelos(a big fry crispy tortilla with cinnamon-sugar) I love eat bunuelos there delicious!!!! Our family tradition has been to exchange holiday newsletters and photos. When I was young, my mom and dad always made handmade cards and added our photos. Since my dad was involved in advertising, he liked to design interesting cards. One year, we had cards that folded out when they were opened. One year he made up a rhyme using our names and fitting to the music of “Jingle Bells”. After I got married, my husband and I started printing holiday newsletters with pictures and mailed them. This year, we have created an electronic newsletter with a photo gallery. Happy holidays! For Christmas. me and my family decorate the Christmas tree. and put on the tree our favorites ornaments. My favorite ornament was the paper heart. The heart color was white I made it because I didn’t have any toy when I was 4 year old . And I enjoyed making . I grew up in Mexico. all my family in Christmas make tamales. All the family meet in the house of my aunt and we make tamales and sing. when we finish the tamales my grand mother makes atole and the rest of us decorate the house of the Nino Dios(baby Jesus) and in the night we pray and we change the cholth of el Nino Dios. Everybody makes a wish. and we hug each other. Then we exchange gifts and then when is 12:00 a clock we opened the gifts and enjoy the special moments.